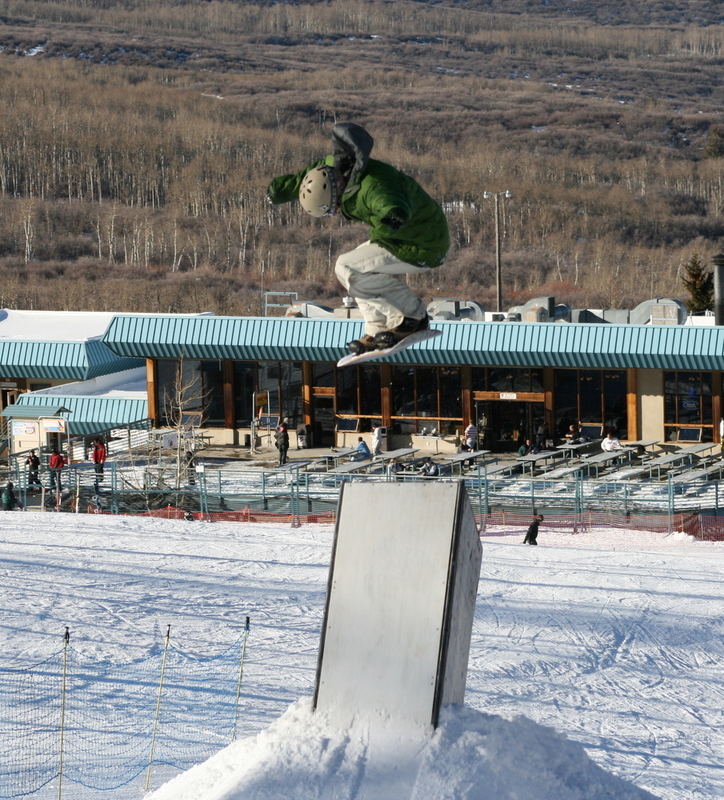 In case you haven't heard, this season is Powderhorn's 40th Anniversary! But we don't look a day over 30. 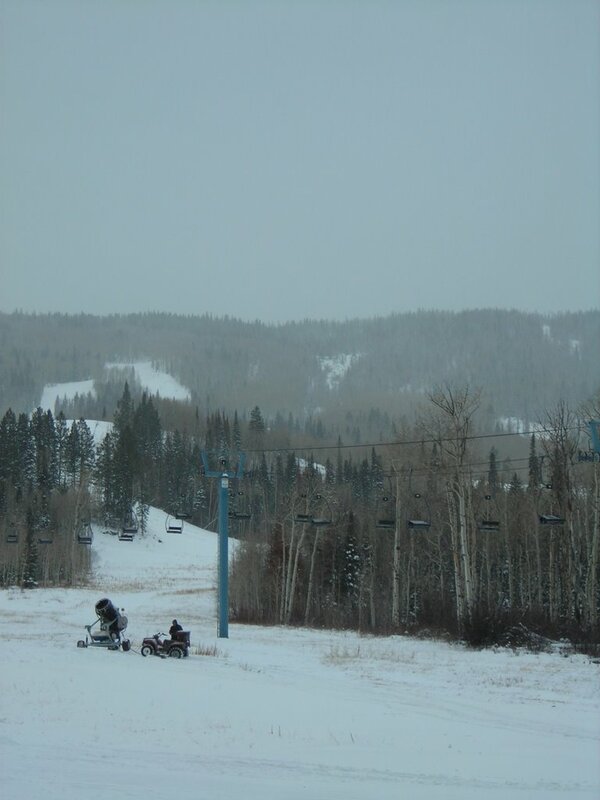 With the Anniversary Celebration week fast approaching (January 8-14) I thought it would be a good idea to explore the history of skiing on the Grand Mesa. It has a great story which I'll break up into a few days' posts since it could get long. I know a lot of you read this blog at work, so I wouldn't want you to single handedly submarine the productivity rates on our account. Skiing on the Grand Mesa has roots going back to the 1930s. 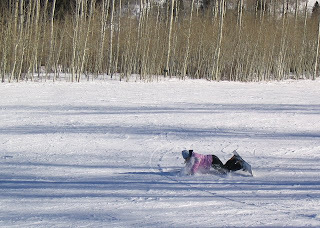 In 1935 the first sport skiing began on Grand Mesa at a location near Land’s End Road. 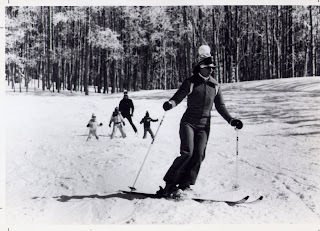 A club operation began skiing the mesa in 1938 just a couple hundred yards from Mesa Lakes Resort. 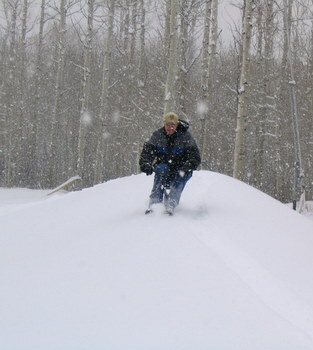 A rope tow provided access to two runs. This tow was powered by an old truck which required a fresh battery every day. This battery was often lugged up the hill on skis first thing in the morning. 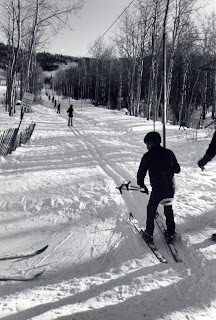 In the mid 1940s skiing was moved to the Mesa Creek area or what is now commonly referred to as “Old Powderhorn.” This location provided more variety of terrain for beginners and more advanced skiers. The road up the mesa was not paved at this time and cars parked wherever they could make space. 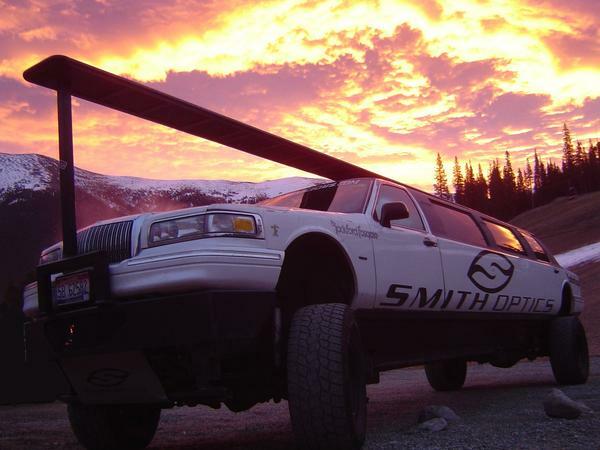 There were two rope tows installed over the first two seasons. A Ford Model A motor ran the shorter tow and a Buick hearse motor ran the longer tow. Well another Christmas has passed. I don't know about you but I'm seriously tired. I'm pretty sure I don't need to eat for a couple days, I can just live off of what I consumed yesterday. But it's time to get going on our upcoming events. There's a ton happening just in January alone! Here's the rundown of events and clinics for the month of January. If you want a handy-dandy calendar of your own, look for our half-page calendar in Sunday's Daily Sentinel. New Year's Eve- this is a biggie! Torchlight Parade & Fireworks, Prime Rib Buffet, Rail Jam, music by the Williams Brothers Band, giveaways all night including a snowboard! 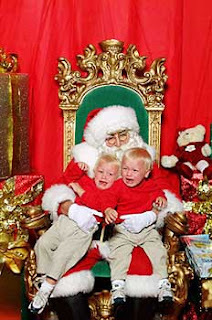 And bring the kids up to Powderhorn to ski with Santa! We have it on good authority that he'll be stopping at Powderhorn Christmas Eve for some skiing before hitting the night skies. 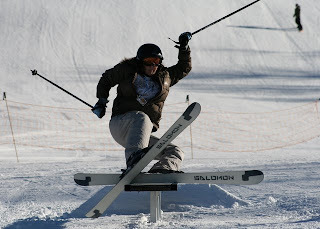 Come join him for some great skiing with family and friends! By photographers we mean anyone with a camera. We would love to see your pictures! As you're riding the mountain this season, snap some pictures and send them our way. Send in pictures of you and your family/friends, powder shots, scenic shots, or pictures of you showing off. As I type this, I know there is at least one person already cooking up an idea to send us a shot of themselves mooning the camera or something. Please don't send us that....no one wants to see that. Seriously, no obscenity please. p.s. it snowed 8 inches in the last 24 hours, a foot in the last 48 hours. This weekend should be goooooood, come join us! Apparently there was some confusion yesterday. 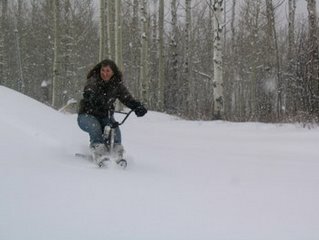 Because it snowed in Grand Junction, I can understand that everyone thought we had received tons of new snow. When our snow report said 0" people thought we just decided to sleep in or something. But the truth is, as of 5:00am yesterday we had not received any snow. It's definitely rare that it snows in GJ and not here but that's in fact what happened. It did start snowing lightly in the morning and we've now had 4 incehs of snow in the last 24 hours. We sure wish this storm had brought more but we'll always take what we get too. As of right now it is trying to snow but very lightly. The forecast calls for a possible 1-2 inches more today. 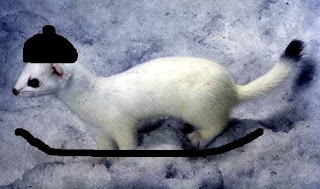 As one of the snow reporters, I assure you we keep an accurate report that is tracked all season long. Please keep in mind that there is nothing we can do about it snowing or not. If we had our way, it would always be a powder day! And here's the really good news- Laidlaw is providing an extended bus schedule so you don't have to drive to the party! Cost is $8 round trip. Hope to ring in 2007 with all of you! This is a really cool event that Powderhorn is hosting this year. 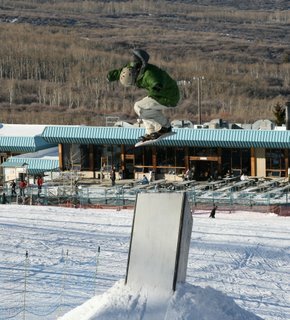 It's a chance to find out how many vertical feet you can ski/ride in a day while benefiting the American Cancer Society. You can sign up as a team or individually and compete for prizes. All the proceeds go to the fight against cancer! This is a free service but keep in mind fees may apply based on your wireless plan. The wait was so long yet its almost here already! We're opening Thursday for the 06-07 season. Time to use one of those sick days. 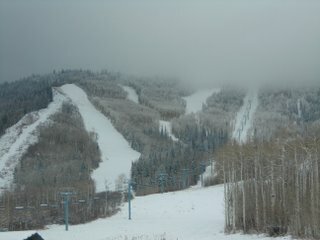 The mountain is in really good shape with a 30" base and we should have a terrain report of opening day for you tomorrow. Things are certainly picking up around here. Ski Patrol is out scouting all the runs and placing pads, fencing, etc. The snow guns have been active and the grooming crew (the nocturnals) have been packing and shaping the snow. 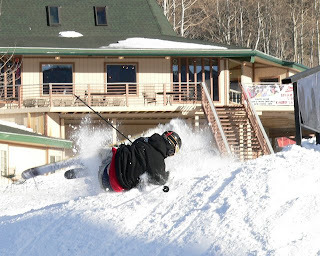 I just saw our terrain parks manager hike up the mountain carrying a vacuum cleaner. 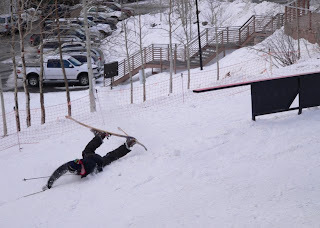 Apparently he likes a really clean terrain park. Otherwise kitchen supplies are being ordered, press releases prepared, and ticket systems fired up. A wise person told me last year that opening day is like giving birth. There is A LOT of labor involved but it's exciting. And that's definitely the mood this week. Everyone is probably burning twice the normal amount of calories but we're really excited. Oh and another gift idea- Powderhorn Cash Cards. These can be used for tickets, lessons, rentals, food, Alpine Trader, and lodging. You can call us (970-268-5700) to order one or buy a preloaded card at Board & Buckle or Traz. That's right, the bus is back! Laidlaw will be providing bus service to Powderhorn on weekends all season long. In addition, the bus will run December 23 through January 7, January 15, and March 12-18. The bus will not run Christmas Day. A round trip bus ride is $8. Children under 10 must be accompanied by an adult. Please have exact change for bus driver. And please respect this service or there will be no service! Total from this storm- 20"
Let it snow! As of 9:00 this morning we had received 8 inches of snow. It has been snowing heavily and nonstop so far all day. I would venture a guess that there is at least a foot out there now. Some of us delinquents couldn't resist playing a little as you can see. 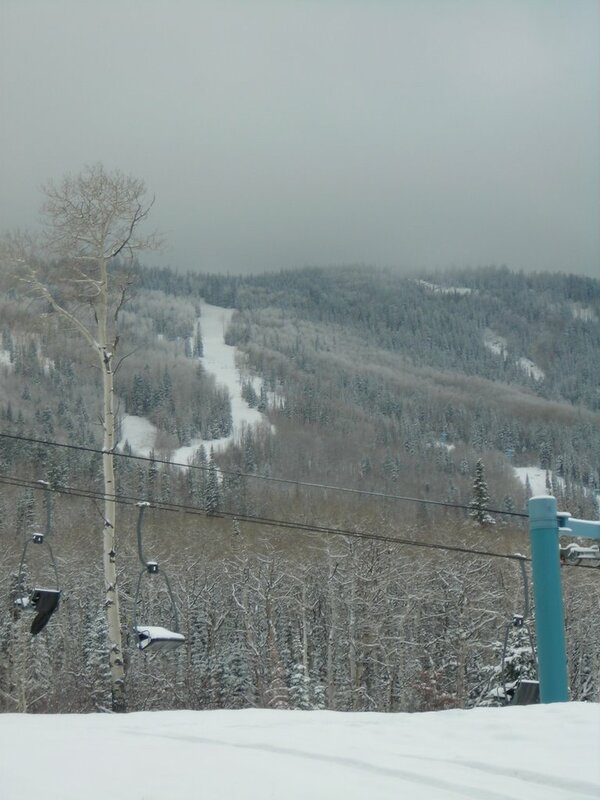 We are updating the snow report on our website daily now although we are not opening until December 7. Updated snow totals will be available around 3:00 today. John, a recent poster, had some great questions regarding wireless services at the mountain. We are indeed offering WiFi access this year in our base lodge and at the Inn at Wildewood (although some fees apply). We are excited to be able to offer this service this year and hope it enhances the visit to the mountain. As far as cell phone service goes, this is something we've been working on for several years. Because of our physical location, we tend to be in a small black hole when it comes to service. 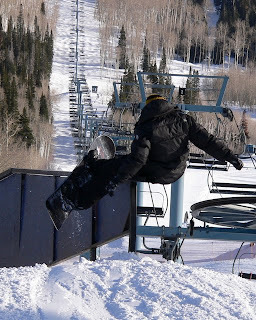 From what I understand, there have been conversations with different companies to have a tower placed on the rim therefore providing perfect service not only for Powderhorn, but most of the Grand Mesa. Several companies have expressed strong interest although we have not seen a new tower yet. Oh and check out the forecast, it's looking good for the next few days. We'll keep you updated! Anomaly TGR's newest 16mm and HD ski and snowboard release showcases the freakish and abnormal abilities of today's top athletes as they push the boundary of what is humanly possible. Don't miss out on this one! People often ask what it is we are doing up here when there is no snow or during pre-season. The answer: running around like chickens with our heads cut off! Ok there is actually more order than that. But we are extremely busy preparing for the 06-07 season. 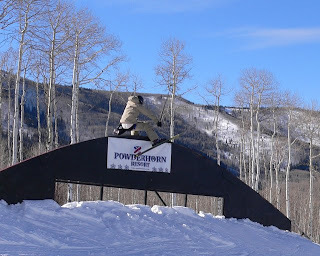 Powderhorn employs a staff of about 25 people full time/year round. This is made up of administration, marketing, food & beverage (we host 25-30 weddings every summer), Inn at Wildewood, maintenance, and mountain operations. Our staff size will jump to about 250 for the winter season. So what is it we are up to right now? 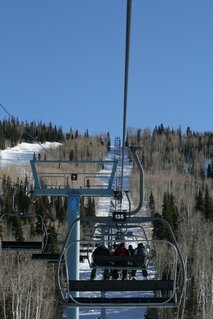 Well, as I type this, the mountain guys are placing the picinic tables and ski racks around the base lodge. Then they will work on getting the snowmaking operations ready. 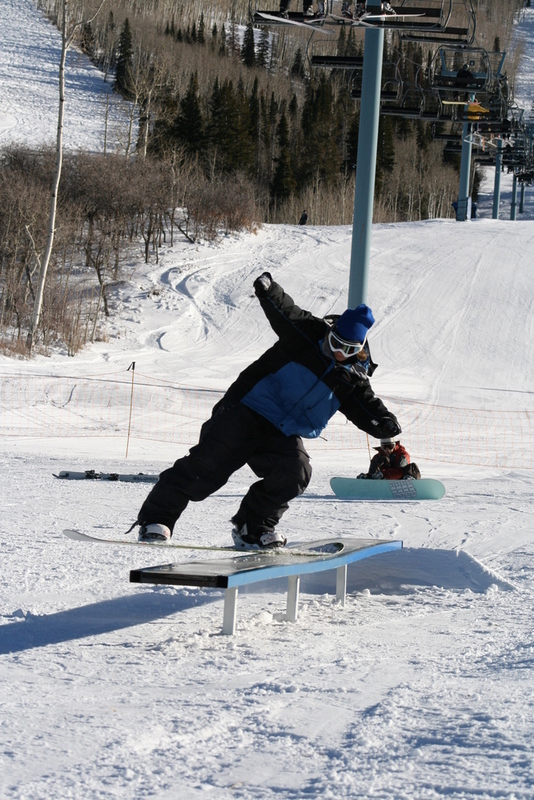 Lift Maintenance is finishing all the final checks and certifications for all lifts. Food & Beverage has the Sunset Grille looking like a bomb went off trying to get everything turned over for season. Ticket office is cranking out season passes as fast as their fingers can fly over the keyboards. The Rental Shop is checking in all the new gear. Alpine Trader is burried in tons of new stuff, the manager has to be checked on periodically to make sure she isn't suffocating under a pile of hoodies. Inn at Wildewood has a couple weeks to take a breather and get those little projects in before season starts. Everyone in Administration seems to be on the phone all the time. Our IT Manager is setting up new computers, getting the ticket system ready to go and, as always, answering our stupid questions about why our computer KEEPS TYPING LIKE THIS WHEN WE DON'T WANT IT TO. 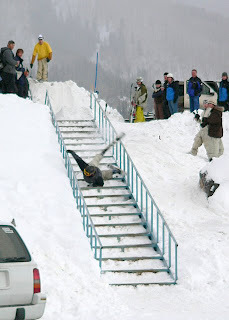 And us marketing/sales folks just got back in town from another ski show, this time in Denver. Whew! But all this makes us extremely excited because that means we're close....close to seeing cars pull in with skis and snowboards on top...close to powder days...close to getting people on skis or a snowboard for the first time...close another season of fun and making memories!